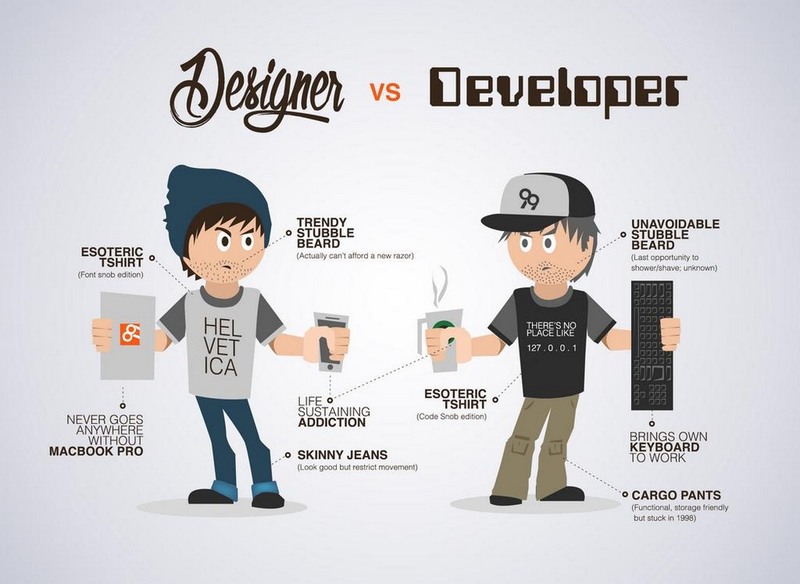 Designers and developers don’t always get along too well. They can have two different mindsets, backgrounds, and approaches to work, which commonly leads to not seeing eye-to-eye! When designers come up with a new way to improve a website’s user experience, developers explain how it increases page loading speed. And sometimes, developers come up with their own design concepts that designers struggle to accept. Both teams are equally important. After all, you can’t build a successful app or a website without developers and designers working together. If they could understand that (and focus on the common goal at hand) all would be good. Right? “What separates design from art is that design is meant to be… functional.” ― Cameron Moll, designer and author. Designing something amazing takes time. You have to consider all aspects of a design including layout, user experience, user interface, design aesthetics, and much more. But it’s all too common for designers to make the mistake of underestimating the time and effort it takes for developers to bring their designs to life. As a result, developers end up missing the project deadlines and designers are to blame for it. This problem can easily be avoided if you could get your developers involved in the design process from the very beginning. Invite your developers to attend initial design meetings and ask for their advice and ideas as well. It will give developers more insight into what’s being planned, set their expectations, and avoid any unexpected surprises later in the development process that are difficult to implement. In a way, design and development aren’t that different. Developers just use code as their platform to design their work. What separates designers from developers is that they have different perspectives and different ways of looking at things. While a designer believes adding interactive elements to a website improves user interaction, a developer might think it adds more unnecessary weight and bloat. There’s a pro and con to almost any aspect of a design, especially when considering the time, effort and complexity of implementation. The best approach to fixing this problem is to have your developers and designers go through a simple training program or a crash course to allow them to understand a little bit of each side. Have your designers learn the (absolute) basics of how to code. And teach your developers about user experience design, interaction design, etc. You can use an online platform, like Lynda, to easily get this job done. Lynda has a special plan made specifically for companies and teams. This will eventually help your designers and developers understand each other a little better and work together more effectively. What’s more important: making your website or app attractive and easy to use? Or making it faster and more secure? Well, obviously a successful project will have all those qualities. But, designers and developers don’t always see it that way. While designers prioritize creating beautiful forms, interactions, and smooth user experiences, developers are more likely to prioritise using the latest and fastest framework (whether or not it’ll support every aspect that the design requires). Making a website visually appealing and making it faster and secure are both important. Designers and developers can achieve both if they find a way to compromise. You don’t have to remove those interactive elements to make the website load faster. Maybe you could try minifying the code or optimizing the images instead, or implementing a new caching system. There’s more than one way to achieve your goals. Try to find a middle ground. 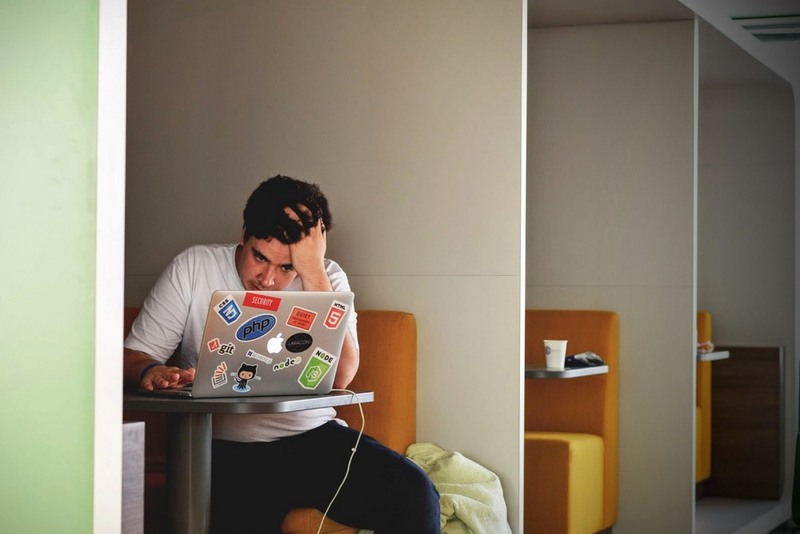 “86% of employees and executives cite lack of collaboration or ineffective communication for workplace failures.” – Salesforce. Only an effective and a cooperative team can build great things. And good communication is the key to working together as a team. Sadly, most designers and developers tend to think of themselves as a different species and draw a line between the teams. Developers and designers often also have two different styles of communication. Developers think technically and speak in specifics while designers think creatively and talk in generalities. This creates confusion and misunderstanding between the teams. The only way to narrow the gap between designers and developers is to have them communicate and collaborate together regularly. Have them all feel like they are on the same team. Brainstorming sessions are a great way to build a connection between designers and developers. They’ll have different opinions, but it will allow them to share their ideas in an open space and understand each other better. Start using collaboration tools, like Basecamp and Slack, to encourage and make team communication easier. In the end, what both designers and developers must understand is that a project won’t be successful without teamwork. It requires everyone working towards a common goal, compromising where necessary, and stepping into each other’s shoes to see a different perspective. If you’re looking for a reliable, friendly development team to get involved in your next project (that will work hand-in-hand with your designers), Mayven has the experience and expertise to help.